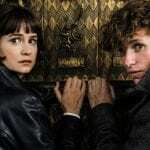 In 2016, Harry Potter fans rejoiced as J.K. Rowling and the Warner Bros. team gave us Fantastic Beasts and Where to Find Them, a film loosely based on the Wizarding World book of the same name, which took us even deeper into Harry Potter lore. Now, two years later, we go back to the 1920s, and realize that the Wizarding World is even darker than it’s ever been. 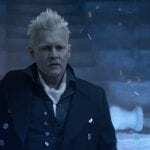 The Crimes of Grindelwald, however, lacks a lot of the magic of the first film, opting for a mostly character-driven narrative that prefers random incidents and throws no less than four or five different story threads at us to keep track of. Dumbledore appears in 1920s London to meet Newt Scamander, urging him to track down Credence Barebones, who it seems, conveniently survived the events of the first film and is now searching for his family in Paris. A reluctant Newt, learning that Tina Goldstein, now a full-fledged Auror, is in Paris, decides to take the trip and is joined by the No-Maj Jacob and TIna’s sister Queenie. At the same time, Grindelwald has escaped confinement and is now gathering followers to help in his ultimate plan to dominate the Wizarding World and overthrow non-magical folk. It’s a cluttered film, to say the least, and although it does have glimmers of magic, Crimes ends up being utterly exhausting to watch. 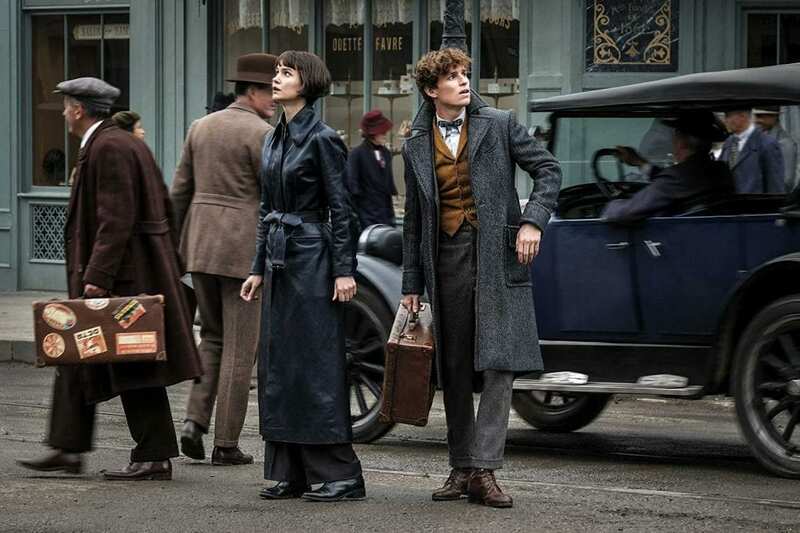 The atmosphere of the film is dark, dull and gray, which is understandable, considering how most of the Wizarding World films look, but Paris in the 1920s was absolutely delightful, with a blossoming cultural and fashion scene, which this film shows us nothing of. A few brief scenes do take us back to Hogwarts, though, which does salvage the film from being a train wreck. And how delightful it is to be back at Hogwarts! The same corridors, the same classrooms, even the same grass and lake. It’s truly the heart and soul of this entire franchise, and it would be great to see more of Hogwarts in the next three films. Also delightful is Jude Law’s young(er) Dumbledore, who is every bit the funny, eccentric, respectable character we all know. Law doesn’t have much to do as Dumbledore, however, which is a bit disappointing, but again, we hope to see this change in future films. Eddie Redmayne as Newt Scamander is still lovable and awkward, but this time, is a bit frustrating in terms of some of the decisions his character makes. Johnny Depp also does a good job with what he’s been given as Grindelwald, but I do wish he was a bit more of a threat. Also joining the cast, I was quite fond of Zoe Kravitz as Leta Lestrange, whose heartbreaking story Kravitz pulls off effectively. Katherine Waterson as Tina is also bright, spunky and effective, as is Dan Fogler as Jacob, delivering many sincere laughs. There are two major final act plot twists involving two characters that did have me extremely shocked. Although on further analysis, these two revelations do seem rather difficult to buy. Apparently Rowling took a page out of Marvel’s playbook in introducing the two twists, and yes, the internet will be buzzing, but as a Potterhead, I have mixed thoughts. It felt more like a twist for the sake of it, especially the final, bonkers revelation. Still, there were enough audible gasps in my screening (including me), so I suppose it’s having an impact. And finally, lest we forget, the beasts themselves. I’m still not sure that having an animal-theme for this franchise was the way to go, but here we are and this time around, we get a ton of truly fantastic beasts. The standout is a giant Chinese Zouwu, who lends a lot of spectacle to the film. The Matagots at the French Ministry of Magic also, are deadly and sinister. And of course, the Nifflers! In a dark and dreary film, the creatures do a lot to raise the audience’s spirits and essentially redeem the film. Fantastic Beasts: The Crimes of Grindelwald will go down in history as the first ‘not great’ Wizarding World film. It lacks the wonder and enchantment of the first installment, instead choosing to wallop us with one character after another, chasing down multiple storylines without giving us time to breathe. It’s evident that J.K. Rowling is a novelist first, and a screenwriter second, because a story of this scale feels better suited to the page than the screen. There are a few truly dazzling scenes, and it’s wonderful to see Dumbledore and Hogwarts again, but those aren’t enough to rescue a film that, although grand and ambitious, lacks a lot of heart. So much for the greater good. Did you watch The Crimes of Grindelwald? What are your thoughts?